Ford tells us all Transits will be fitted with a new feature as standard - side wind stabilisation. Ford say side wind stabilisation is a developed advanced feature that works by carefully applying the brakes on one side of the vehicle to reduce the effect of a side wind gust on the vehicle’s path. 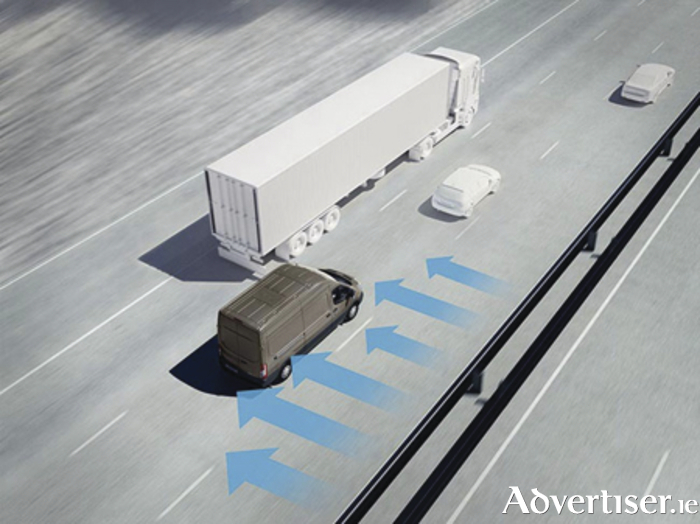 At vehicle speeds over 50mph, the side wind stabilisation system monitors stability sensors 100 times per second. If a sudden gust is detected, the feature can become active within less than 200 milliseconds – the time it takes a sprinter to react to a starting pistol. Ford engineers tested the new system at a specially created test track, which uses six powerful fans to generate crosswinds of up to 50mph, as well as on public roads in areas which are notorious for strong winds. The side wind stabilisation technology is offered as a standard feature on Ford’s latest Transit and Transit Custom models that feature the Ford EcoBlue diesel engine, which Ford claims are delivering significant cost of ownership and performance benefits, with fuel efficiency improved by up to 13 per cent and low-end torque by 20 per cent.